In May, the results of the first feasilility studies for the potential heat net between companies in the zone Port, Roeselare and a number of public buildings and potential residential developments, were presented. The involved companies, the owners of the public buildings and the City of Roeselare were present at the event. Apart from the potential heatnet, potential steam nets were presented as well. The next step is to discuss the different scenario’s with developers. These discussions will show if there is an interest to effectively implement the net, before the set-up of further studies and detailed business cases. Also in the region Oostrozebeke -Wielsbeke a feasibility study was completed for implementing a steam net from the existing biomass power plant to the neighboring companies. Furthermore several scenario’s for using waste heat to feed a district heating network were investigated. 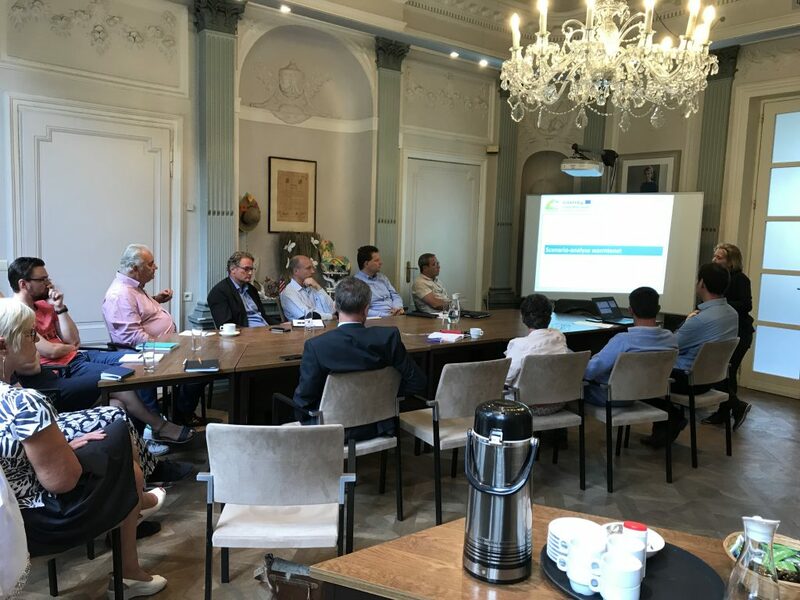 On the 25th of June the results of the feasibility studies were presented to the companies involved and to the municipalities of Wielsbeke and Oostrozebeke. All attendants were enthusiastic to further investigate the scenarios and to define a consortium willing to realize the project.